I am a science and technology enthusiast looking to learn more ! I don't mod that often but I play SMM everyday. My main purpose in this forum is that I am the video editor for its YT channel. Be sure to check the videos out and give feedback. I try to make em good and I love to hear critique and improve. I also love this community as it is very active and everyone is also polite. I stay active in the discord and I like talking to all the amazing modders there. Happy Birthday... even though it's probably too late in your area. Also, thanks for allowing me to test the birthday display feature on a particular site layout. Nawab, where did I see this name before... ?? Checked it out today for my YT playthroughs. Pretty good. One thing I would suggest is making everything work on the first cycle to eliminate waiting sections. Other than that, the boss fight also felt rushed out. 4/5, Definitely would die again due to mushroom greed on the first screen. 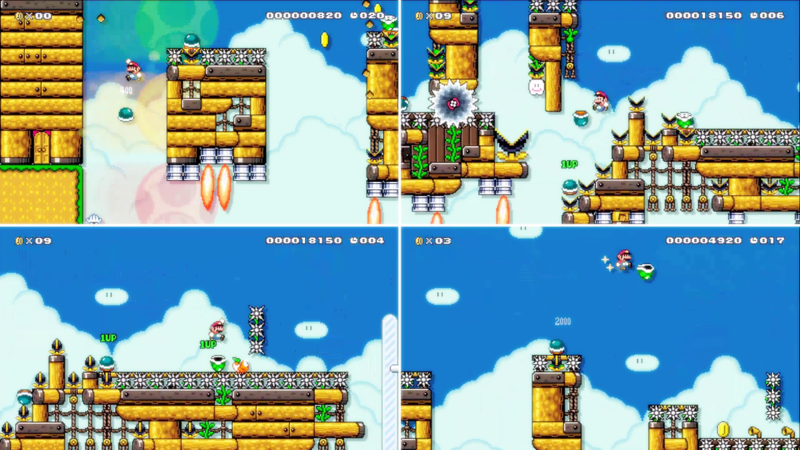 After Nintendo released the New Super Mario Bros. U, they have gotten a mixed review about it from the fans as some really enjoyed it but some took it as a recycled product with little innovation. In my opinion, it was enjoyable although not as much as the Wii installment. What are your thoughts on Nintendo releasing yet another 2D Mario title on the Switch? Should it be like the previous ones or should it follow a new path inspired by the Odyssey and freshness of its theme ? Posted on 08-13-18, 03:42 am in How would you feel if Nintendo released a NSMB for Switch? Thanks for this. I hated the default colour pallete of SMB3 Underground theme. Is the weird blue filter issue fixed in this release ? Also, this is looking awesome ! Posted on 07-22-18, 06:00 am in smb1wii u1.0 They Came From Nintendo! Looks pretty promising. I can help in testing levels in beta phase if you are accepting requests. Hyped to play this in the future! Looks cool and promising. Good job! A SMW speedrun I made. It's centered around some simple shell jumps and a little precision freefalling. It's not that hard and should be easily beatable by expert players. Let me know if you like it or have any feedback ! I wanted to know if editing the timer is possible. It would be great if we could edit it to have values like "multiples of 5" so we can set the timer to 5,25,35 and so on. Currently, it only has multiples of 10. I also saw a Psycrow level with the timer that was running from 999 so I think this should be possible. Would appreciate if some of the more experienced modders look into this. Posted on 04-07-18, 06:00 pm in Timer Edit ? 1. The letter "m" cuz Minute, MoMent. P.S. Do I get a cookie as a prize ? Posted on 03-22-18, 05:32 am in Zelda "Too"
Looks promising. Not going to watch the video as I will "blind" play this on my YT soon. Appreciate you putting it out on SMMDB for us CEMU users. Posted on 03-22-18, 05:27 am in Zelda "Too"
Here is my new level on SMMDB! Took me a month to make and polish. Every trick of it was heavily tested for over a total 7+ hours of playtesting. I'm proud of it. 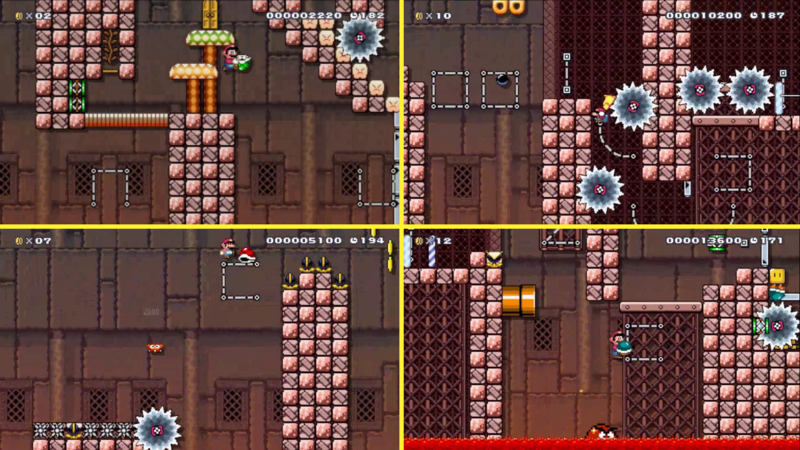 Basically, its a shell kaizo level with various tricks. Shouldn't be too hard if you have practiced my "Kaizo Krash Kourses"
I have tried to make it as straightforward as possible. It has indicators, coin trails and anti-claustrophobic setups so its pleasant to practice and conquer! Posted on 03-06-18, 09:49 am in Zelda "Too"
Page rendered in 0.238 seconds (with 1.730 MB of RAM).